The challenge of appropriately modernising historic buildings presents older European metropolises in particular with a wide range of tasks. This book examines drastic changes that affect buildings from many different historical eras in an increasingly rapid process. Such changes take the form of energy optimisation, extensions, conversions, the addition of extra storeys, adaptation to new town planning contexts, or a resource conservation approach to the substance of listed old buildings; this may involve decisions to re-use buildings intelligently rather than to demolish them. 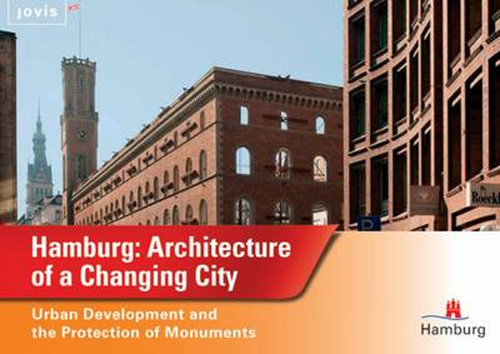 The third small-format architecture guide to Hamburg focuses on this topic and presents projects that have been completed in recent years, as well as plans for the future that have a realistic chance of being implemented. All of the projects are presented with the most important core data and an explanatory text and their locations are also marked on maps. 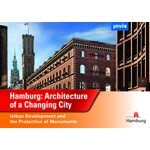 Hanno Rauterberg gives an overview of a changing Hamburg, while brief portraits of Hamburg’s seven boroughs also illustrate special local features.